A malfunctioning water heater can be a very irritating problem. 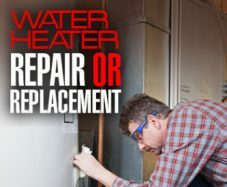 Here are a few tips for trouble shooting water heater problems before calling a plumber in to repair or replace your water heater. If you have a gas heater and are running out of hot water or just don’t have any hot water, you may want to check to make sure the pilot light is lit.  If you have an electric water heater and you are running out of hot water or just don’t have any hot water, you may want to check your breaker to make sure that the breaker has not tripped. Once you have checked these possible solutions and you still don’t have hot water, it is probably time to call Doug Herrell Plumbing. They will be able to test your heater to see if the thermostats or elements may need replacing. Water heaters are generally quiet. If you start hearing noises from your water heater it could be scale/minerals that have let loose from the anoid rod. You may try to drain your heater according to your owners manual instructions. This may help depending on the age of your water heater. Unfortunately, if there is any visible water coming from your water heater, you will need to replace the tank itself. 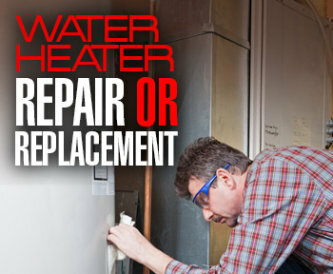 You cannot repair or patch a leaking water heater. Please fill free to call, Doug Herrell Plumbing, if you have any questions about the above tips. When all else fails we will be there for you when your water heater fails you.